The 50 biggest US companies stashed another $200bn of profits in offshore tax havens in 2015 alone, taking the total to approximately $1.6 trillion, according to new analysis. 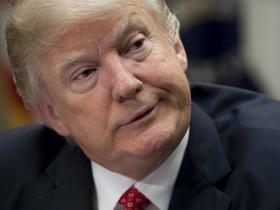 Donald Trump’s plans to slash taxes for corporations and wealthy individuals and impose a border tax will harm average consumers further, Oxfam said in a report published on Tuesday. The 50 largest companies disclosed use of 1,751 subsidiaries in countries classed as tax havens by the OECD and the US National Bureau of Economic Research, an increase of 143 on a year earlier, the charity found. The true number may be far higher as only “significant” subsidiaries have to be disclosed. Big multinationals such as Google, Amazon and Apple have come under fire for routing sales through countries such as Bermuda, Ireland and Luxembourg, which offer them low tax rates. While this is legal, critics say it does not reflect where the firms actually do business. The top rate of US corporate tax is 35 per cent - one of the highest rates in the world, incentivising many companies to hold billions offshore. Mr Trump has pledged to reduce this to 15 per cent and a one-off rate of 10 per cent for money currently held abroad. That will hand a $328bn tax break to the 50 biggest companies, with Apple, Pfizer and Microsoft the biggest gainers, accounting for 40 per cent of the total, Oxfam estimated. While some have welcomed the move as a sensible way to bring profits of US companies back to the country, Oxfam warns that it risks accelerating a race to the bottom that will harm consumers in America as well as the world’s poor as global tax rates plummet. The average statutory corporate tax rate for the G20 group of leading economies fell from 40 per cent in 1990 to 28.7 per cent in 2015. The UK has already cut its rate from 30 per cent in 2008 to a planned 17 per cent in 2020. The President has also put forward plans for a border adjustment tax, which could, in effect impose up to a 20 per cent tariff on imports. Oxfam said companies would still be able to game the system and its main outcome would be to increase prices of imported goods, hurting the poor in America, and in countries that rely on exporting to the US. Proponents say it will cause a sharp rise in the value of the dollar which will offset any rise in import costs.